Directed by “Finding Nemo” helmer Andrew Stanton, the film reunites Dory with friends Nemo and Marlin on a search for answers about her past. What can she remember? Who are her parents? And where did she learn to speak Whale? Ellen DeGeneres returns to voice everyone’s favorite forgetful blue tang. Joining her in the voice cast are Ed O’Neill as Hank, a cantankerous octopus; Ty Burrell as Bailey, a misguided beluga whale; and Kaitlin Olson as Destiny, a kind-hearted whale shark. 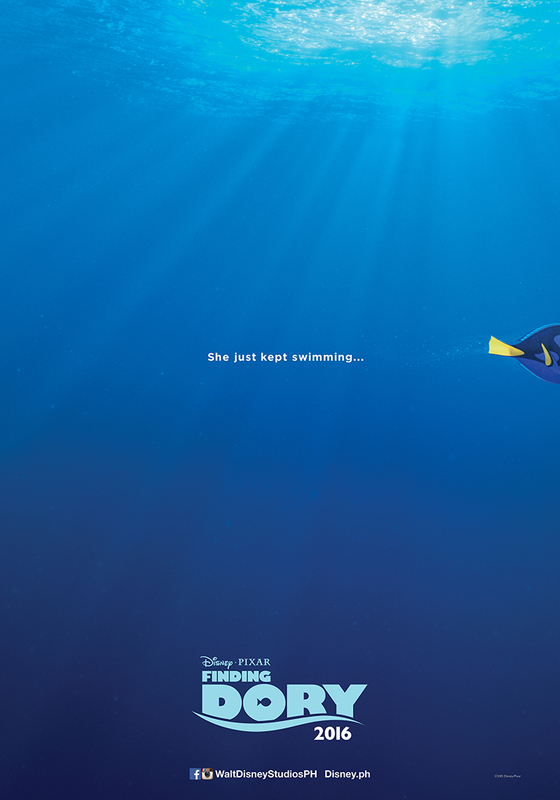 “Finding Dory” also features the voices of Albert Brooks, Diane Keaton and Eugene Levy. Opening across the Philippines on June 17, 2016, “Finding Dory is distributed by Walt Disney Studios Motion Pictures International through Columbia Pictures.Follow the official social media accounts of Disney in the Philippines, namely, (FB) WaltDisneyStudiosPH, (Twitter) @disneystudiosph and (Instagram) @waltdisneystudiosph.